Boston is 'The Athens of America'. Birthplace of the nation. Home of architectural and cultural treasures, Ivy League universities and the added bonus of beautiful New England surrounds. This is a great town for a city break and the majority of the best places to stay in Boston are ideally located for making the most of its varied highlights. Boston is where the American Revolution and modern democracy got their start. And these things didn't take place in just any old building. No, Boston has some beautiful architecture, and just as in many European cities some of the best is crowded into the historic centre. It's also always been a city of great intellectual influence - home to prestigious institutions like Harvard, MIT and Boston University. With its smart surrounds, great sporting teams, a buzzy atmosphere and plenty of culture to get stuck into, you'll be sure to leave having completely fallen in love with the place. West End - the area has undergone a dramatic transformation in recent years. With high-rise condos and plenty of parks, it's a lovely place to stay, and also closely located to Boston's sports stadiums. Downtown - if you don't mind spending a bit more then this is the perfect place to base yourself. There's a wonderful blend of old and new, whilst you're also only 20 minutes form the airport. Beacon Hill - home to many of the city's members of Congress, this smart area has plenty of stately homes and enjoys an enviably central location overlooking the Massachusetts State House. 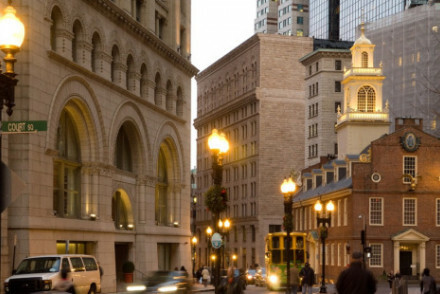 Back Bay - this upscale area boasts a number of elegant churches and smart Victorian brownstones. There are plenty of lovely shopping spots, as well as a number of glitzy restaurants. South End - slightly further out, this neighbourhood is home to a number of lovely parks, trendy boutiques and buzzy bars. Perfect for the classy traveller who likes to surround themselves with like-minded people. Fenway/Kenmore - the area is littered with contrasts: located close enough to the city's universities to be home to plenty of intellectuals, yet also brimming with basement beer bars and raucous Red Sox fans. A fun spot! Beacon Hill is an area worth exploring. Home to the majority of the city's greatest dignitaries - many of their homes have been turned into museums - it also has great antique shops. You should also make time for Faneuil Hall - 'The Cradle of Liberty'. Despite being founded by Puritans, Boston is now one of America's most politically forward thinking cities. A shift influenced by the artists and creatives who have made this city their own. The opening of the Institute of Contemporary Arts means that it's not just Grand Masters that you'll find in the many museums and art galleries. Make time for the Museum of Fine Arts. If you've got the little ones in tow, then head for the Children's Museum. This is a haven from "Don't touch! ", where everything is at child-height - and if it's not you're welcome to climb up to view it. Or touch it! The Science Museum is another family friendly perennial, as is the New England Aquarium. If you're visiting in summer you'll want to visit the Public Garden for a go on the famous Swan Boats of Boston. These lake paddlers are educational, as well as fun, having been around since the 1870s. Intermingling some of America's finest historical monuments with a busy metropolitan city, Boston is a great place to explore. Our selection of the best places to stay in Boston serve to accentuate the city's rich history and culture. For something really unusual, The Liberty Hotel has to be one of the best hotels in Boston. It was once the Charles Street Jail and its luxury rooms, decorated in rose gold and mahogany, were originally its cells! It also has panoramic city views. Right in the heart of the Bullfinch Triangle, The Boxer epitomises contemporary luxury. The elegantly designed rooms are bright and sleek, offering excellent views out over the city. A haven to retreat to after a busy day's exploring. Right in the heart of Boston, the Ames Hotel is a chic, stylish downtown option. Situated in a landmark 19th century skyscraper, it offers luxurious rooms, an excellent restaurant and a buzzy cocktail bar. 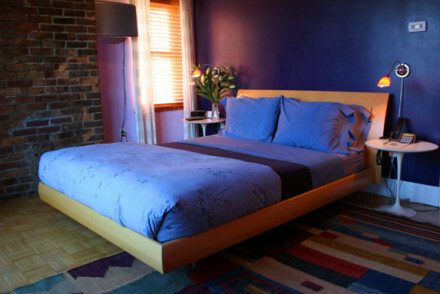 Conveniently located for pretty much everything, Nine Zero is one of the best places to stay in Boston for families. They really want your kids as guests - providing them with special welcome packs including child-sized bath robes. They also offer free bike hire, yoga mats in all rooms and have an excellent gym, so this is also a good option for people who don't want this holiday to get in the way of their fitness. 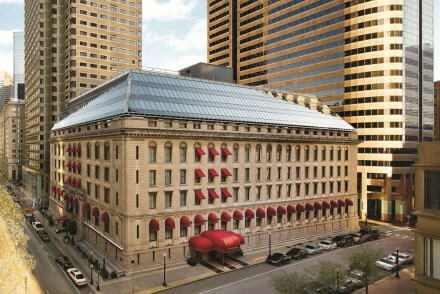 Don't be fooled by this hotel's austere exterior (it used to be a federal bank), it's one of Boston's finest hotels. The Langham is head to toe luxury and decadence. With plush rooms, a magnificent indoor pool, an excellent restaurant and deluxe spa, it's got every creature comfort you could ever need. 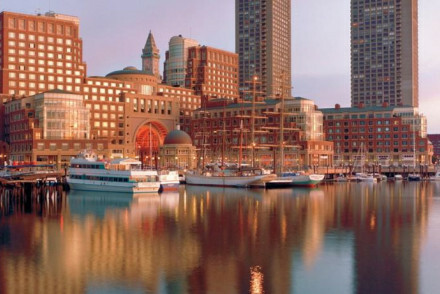 The Boston Harbour Hotel offers contemporary luxury and superb waterside views. Fitted up to the nines with modern comforts, guests can relax in the spa, take cocktails overlooking the harbour or dine in the hotel's excellent Meritage restaurant. 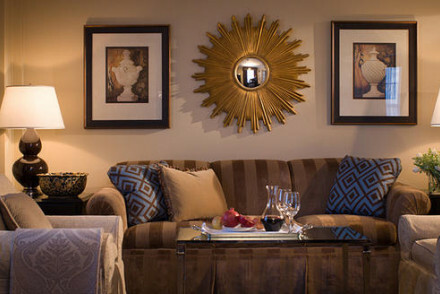 Awash with charm and character, the Beacon Hill Hotel is a delightful boutique townhouse. Stylish rooms offer comfort and class and the hotel's award-winning restaurant serves some of the city's finest french cuisine. Great location, great option. If you want traditional luxury the XV Beacon ideal. The colour palette is pure New England greys and beiges and everything is weighty and comfortable. The unlikely named 'Mooo' restaurant is award-winning, so this is also a good choice for foodies. There's only one word that springs to mind when it comes to the Taj Boston: opulence. The gloriously decadent rooms, a superb restaurant and sublime spa only scrape the surface of what this heavenly hotel has to offer. A five-star wonder. Looking for a luxurious five-star hotel with an Asian twist, go no further than the Madarin Oriental. 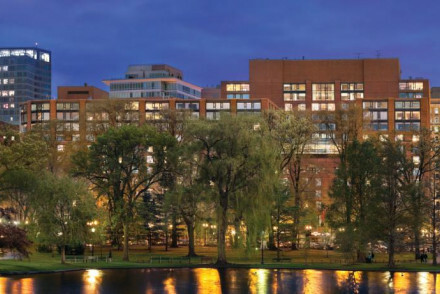 With luxury at every turn and a fantastic location in the trendy Back Bay area, the Mandarin is a great option for an indulgent trip to Boston. 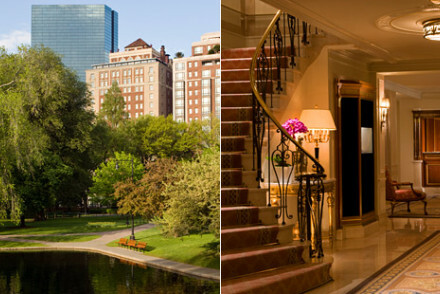 Overlooking Boston Common, the Four Seasons personifies perfection on a park. WIth stunning rooms, a superb restaurant and a deluxe spa as well as a fantastic location, this is perfect for those looking for a lavish trip to Boston. 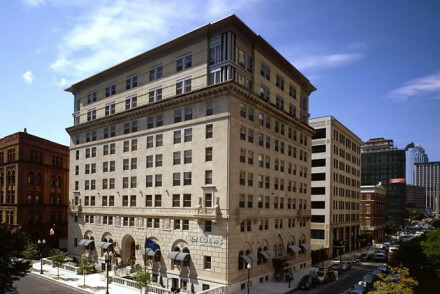 Found in the trendy Back Bay Area, the Loews Hotel specialises in relaxed luxury. Featuring deluxe rooms, a state-of-the-art spa and a superb restaurant that focuses on all-American cuisine, it's a great place to decompress after exploring the city. 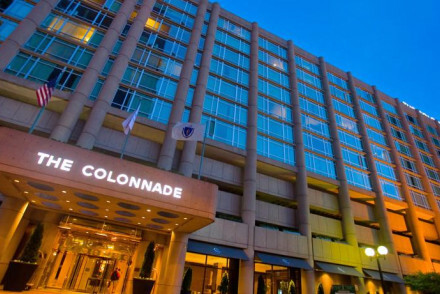 With a rooftop pool, chic rooms and stunning city scapes, The Colonnade is an excellent downtown hotel. Featuring all the fittings of modern comfort, this is ideal location for a ctiy break to Boston. 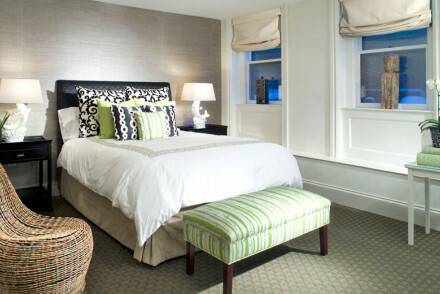 The Inn @ St Botolph is an elegant brownstone hotel in the trendy Back Bay area with an unmistakable Boston feel about it. The suites are stylishly designed and offer the option of self-catering with attached kitchenettes. Perfect for unlocking cool Boston. There's something inescapably homely about the loft-style rooms at Encore B&B. Set in a beautiful 19th century townhouse, it has stylish, comfortable rooms and great access to Boston's alternative South End. A stone's throw from the trendy SoWa arts district, the Clarendon Square Inn is a superb boutique hotel. 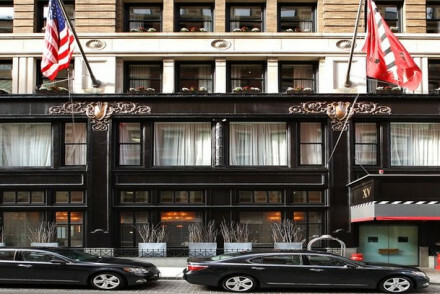 With beautifully designed rooms and some of Boston's finest restaurants on the door step, this hotel is perfect for stylish visit to the city. Found in the hip South End, Chandler Studios offers an artistic hotel experience. Guests register at the 'virtual check in' and enjoy stylish suites fitted with bedrooms and kitchenettes. A great launchpad for a trendy trip to Boston. Located on a street modelled on the Champs Elysee, there is an unmistakable French vibe surrounding the Eliot Hotel. The place exudes class with an excellent French restaurant, a trendy sushi bar and beautifully designed suites. Situated on the atmospheric Kenmore Square, Hotel Commonwealth epitomises Fenway's trendy vibe. Relax in the hotel's chic rooms, enjoy superb seafood at the Island Greek Oyster Bar. The hotel's bar is renowned for its innovative, craft cocktails. 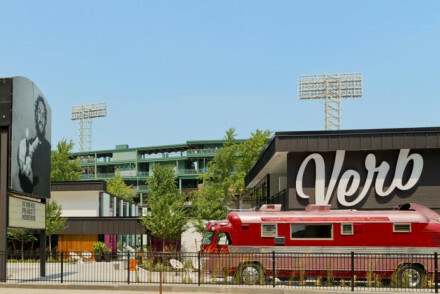 Within a home run of Fenway Field, The Verb Hotel is an excellent property that reflects the district's rich musical heritage. The hotel is replete with cool art-deco designs and fitted out with a whole host of musical paraphernalia. Fan of the great American pastime? Take in a Red Sox game across the road. 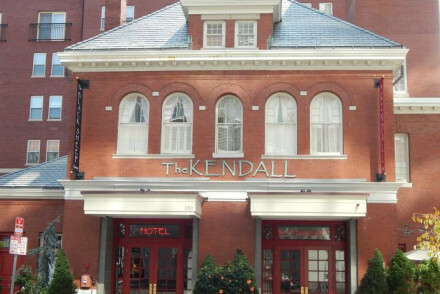 Set in an old 19th century firestation, The Kendall Hotel brims with historical charm from the outside. However, inside a complete renovation has seen the hotel transformed into a stylish, modern establishment. This place feels typical New England with a hearty restaurant and excellent local beers on tap. 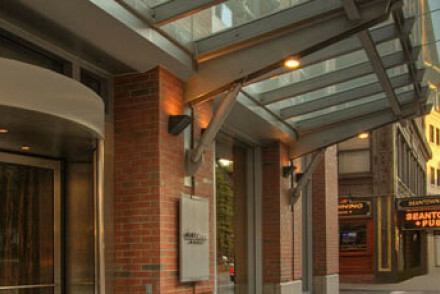 The Hotel Veritas is a great choice if you want to get the best of both Boston and Cambridge. It's easy to travel between the two and you get the benefit of staying amongst the Harvard colleges and soaking up the lively, active, student vibe. This is also the place to book if you want to stay in a traditional New England mansion house. Built into the heart of Harvard Square, the Charles Hotel is a great option for a visit to Cambridge. Enjoy an evening in the hotel's private jazz bar or luxuriate in the deluxe spa. The perfect launchpad for soaking up the history of the illustrious surroundings. For those seeking a bit of additional privacy, we recommend visiting our online partner Booking.com. Fying to Boston's Logan International Airport situated about 4 miles east of the city. Boston is at its best from June to October, with the fall being a particularly spectacular time to see the city. Winters can be terribly cold. If you think you'll need a car, check out our car hire partners Rentalcars. Browse through our list of all the best places to stay in Boston. A welcoming and cheerful hotel with lots of character, located in an old 19th-century brick fire station. Bedrooms are homely, with large hand-made quilts and a charming New England feel. The restaurant serves home-style American dishes. Enjoy beers from local breweries at the hotel bar. Great walks - The Charles River. A sophisticated spot, close to ‘restaurant row’ & the SoWa arts district. Tucked down a quiet street, this boutique hotel offers tranquility away from the city’s hustle and bustle and New England style in abundance. Great for culture seekers, food lovers and couples in search of a romantic weekend. 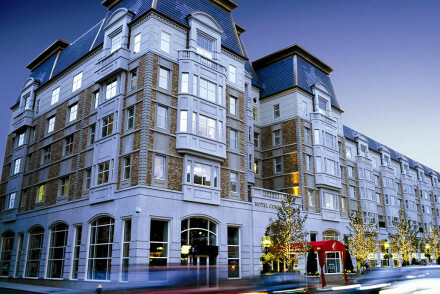 A centrally located, contemporary downtown hotel with a gym, rooftop pool and bar. Bedrooms are stylish with floor to ceiling windows and city views. The Colonnad has a popular brasserie and plenty of local restaurants - this is an ideal spot for those looking to get out and see the best of Boston. 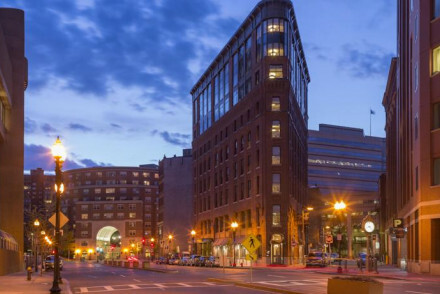 This boutique hotel offers a contemporary downtown feel in the heart of Boston's historic Bulfinch Triangle. Bedrooms have a classic loft apartment aesthetic with cool earthy tones and vintage furniture pieces. Fantastically located for exploring the heritage of the city, restaurants and shopping. 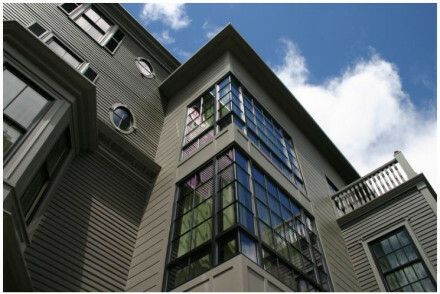 Sights nearby - Located in the historical Bulfinch Triangle district. Easy access to all of Boston's attractions. Stylish, clean and contemporary studios in hip South End. A true departure from the traditional Boston hotel experience, featuring state of the art 'virtual check in'. Bright, spacious rooms with wooden floors are decorated in a modern aesthetic and include fully equipped kitchenettes. A charming bed and breakfast in a 19th Century townhouse located in the trendy South End neighborhood. Bedrooms are spacious with a downtown apartment feel. This chic and welcoming guest house is ideal for those looking for a homely base in this eclectic and exciting city. Restrictions on children - Children under 10 are discouraged. Set in the heart of Harvard Square, this hotel is classically Boston- a smart, bookish feel with burgundy armchairs, private library and large bedrooms with city views. The on site dining has a cool bar and private jazz club. Charming cafes, restaurants and shops on its doorstep. An opulent Taj hotel next to the Public Gardens. Traditional decadence meets contemporary flair and all the mod cons. Sumptuous rooms and suites with private balconies. Fantastic restaurant and terrace with views, spa, and lively Sunday Brunches. A city stop for the luxury traveller. Views - Stunning views over the PUblic Gardens and Boston cityscape. Lively - A popular Champagne Sunday Brunch. 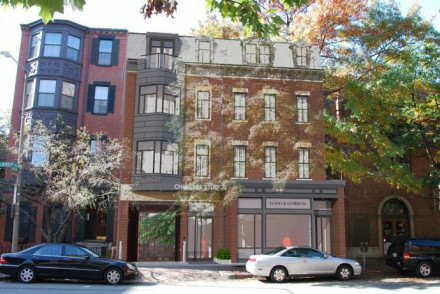 A piece of Paris in Boston? This hotel on Commonwealth Avenue which was modelled on the Champs Elysee would like to think so. Comfortable rooms and a popular French restaurant give this hotel the ooh la-la factor. Restaurant - Clio Resaurant and Uni Sashimi. Top notch culinary destinations. 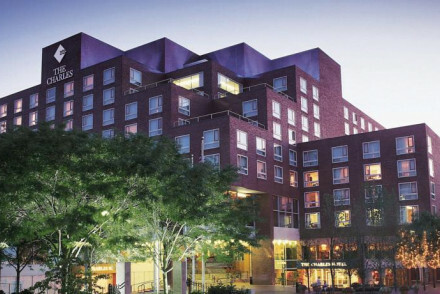 A classic 1959 hotel, located in Boston’s hip Fenway neighborhood. The hotel has been painstakingly restored to encapsulate the history and future of Fenway's vibrant music scene. The decor is a perfect marriage of modern style and homage to the areas cultural roots. A characterful and trendy spot. Great walks - Take a stroll in the Fenway Victory Gardens span 7 acres tended by a community of over three hundred gardeners. Sights nearby - Visit the Musesum of Fine Art, with a staggering collection encompassing nearly 450,000 works. On the Eastern Corner of Boston Common and two blocks away from historic Beacon Hill, Nine Zero is an all-singing, all-dancing hotel with good attention to detail, suitable for business or pleasure, with or without children. 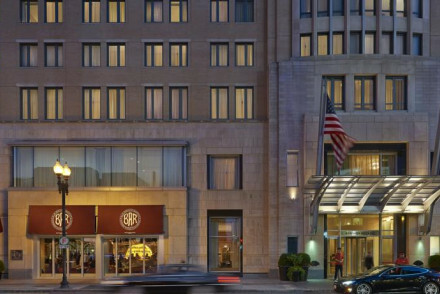 A five star luxury hotel, located in the former Federal Reserve Bank in downtown Boston. The elegant rooms exude old school opulence, with palatial beds, elegant drapes, marble bathrooms and plush linens. There are a range of high end restaurants and bars onsite. Explore Boston like a local! Sights nearby - Glide together across the iconic Frog Pond in America’s oldest public park, Boston Common. Soak up the atmosphere of vibrant Kenmore Square and enjoy excellent hospitality in this stylish hotel. A new wing of spacious rooms and terrace overlook Fenway Park, home of the Red Sox. Try the New England oyster bar, sip an award-winning cocktail, or dine in the hugely popular restaurant. 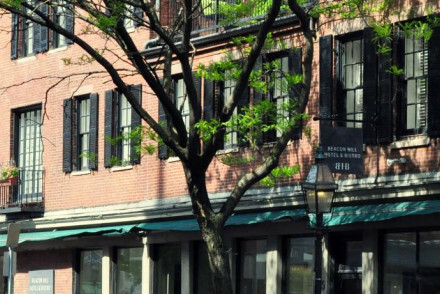 Charming, intimate hotel in the heart of Beacon Hill, an elegant neighbourhood at the start of the Freedom Trail. Twelve thoughtfully designed rooms mirror the area's historical character whilst offering all the modern conveniences. Relax on the private terrace or try the award-winning restaurant. Cool, designer hotel in downtown. Rooms feature high ceiling, wooden floors and contemporary furniture in monochrome; marble bathrooms. Full gym at your disposal. Excellent menu in the grill restaurant-come-bar, with live entertainment most evenings. Chic, central and glamorous. A boutique hotel in atmospheric Cambridge, home to Harvard University. Modern facilities, comfortable beds, good bathrooms and impeccable friendly American service. This stylish design-led 19th-century brownstone has a home-from-home feel in a prime Back Bay spot that’s ideal for Newbury Street shoppers and culture seekers alike. It’s sharp modern décor yet family-friendly amenities make it a great all-rounder. This contemporary luxury harbour hotel offers guests an indoor pool and spa. The large, classic rooms with city, bay or harbour views and modern bathrooms. Meritage Restaurant's chef is award winning and whips up seasonal produce accompanied with an extensive wine list. Sights nearby - Boston Harbor Islands National Park is only 100 metres away. A classy luxurious hotel in the smart Beacon Hill district of Boston where guests can enjoy almost any treat they can think of. A super-sybaritic treat. A luxury city hotel set in an elegant limestone and marble fronted building. Gorgeous suites and contemporary bedrooms with an exotic Asian feel. Modern luxuries and fine dining venues as well as a vast spa offering high end pampering. Fantastic downtown location. This luxurious hotel overlooks the Public Garden with indoor pool and spa treatments. Classic contemporary rooms with city views, marble bathrooms, all the mod-cons. The Bristol offers seasonal dishes, Bistro Bar for cocktails and small plates in a lively yet relaxed setting. Location is spot on! Museums - Art lovers should head to the Museum of Fine Arts and the Institute of Contemporary Art. Fishing - Head to Boston Harbour to see what the fisherman are saying for the day. Sights nearby - Head up to the 50th floor of Prudential Tower for views of the city. Leisure or business, this 1925 hotel in Black Bay is a modern and relaxed affair. Large, decorative rooms have city views and modern bathrooms. All-American dishes are served at Precinct Kitchen + Bar, or head out to the many restaurants in the area. Fitness and business facilities avaliable. Sights nearby - John Hancock Tower and Copley Square are 250 metres away. Fishing - Head down to Boston Harbour. 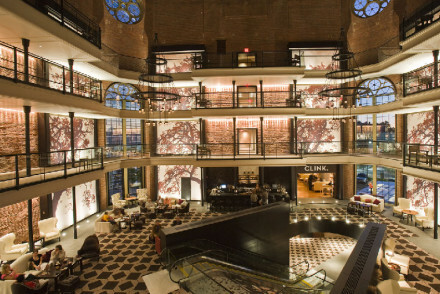 What was once the iconic Charles Street Jail is now the stunning, vibrant Liberty Boston Hotel. Minimalist rooms with epic views over Charles River. The restaurant CLINK serves inventive and modern cuisine and still features the jail bars and catwalk. A stylish hotel near the city centre. Foodies - Boasting three of Boston's best- fine dining and wines at CLINK, knockout cocktails at Alibi and excellent Italian at Scampo. 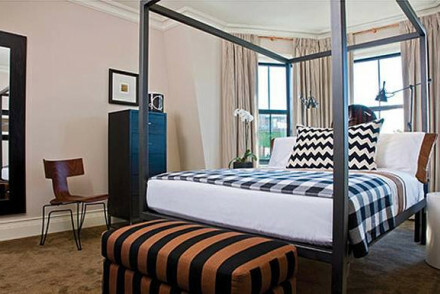 City Style - An 1851 vintage prison, turned luxurious and trendy hotel in Boston's hottest neighbourhood, Beacon Hills. Sailing - Learn how to sail at the Community Boating Dock just two minutes from the hotel.